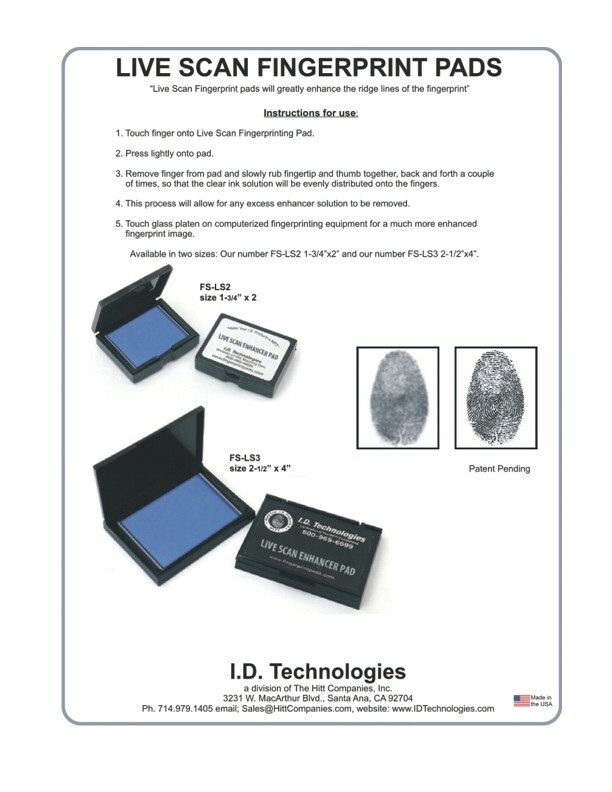 These type of fingerprinting pads were developed to enhance the ridge lines of a fingerprint when using LIVE SCAN or other types of electronic fingerprinting units or equipment. 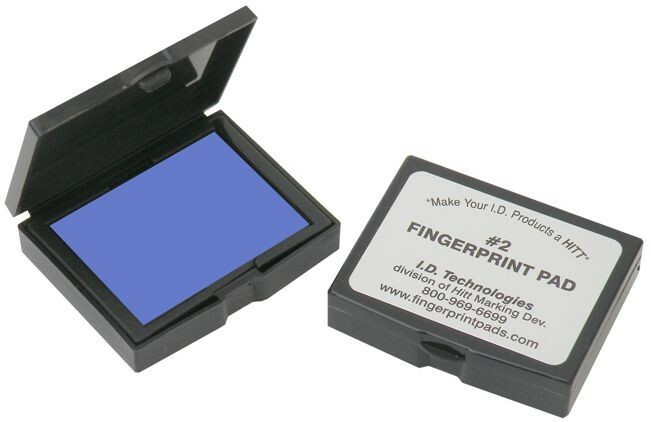 Electronic fingerprint units use a scanner glass to record fingerprints. A lot of times the fingerprint quality is poor because the finger doesn't make good contact with the scanner glass. 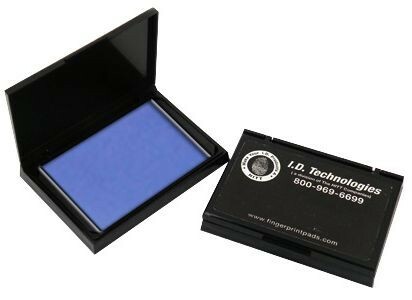 Using our Enhancer Pad (allows the right amount of solution on finger every time) with I.D. Technologies special colorless, clear enhancement solution, the quality of the fingerprint is greatly improved.